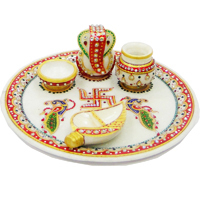 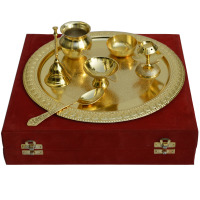 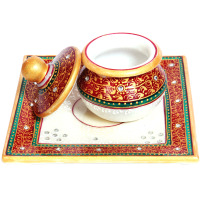 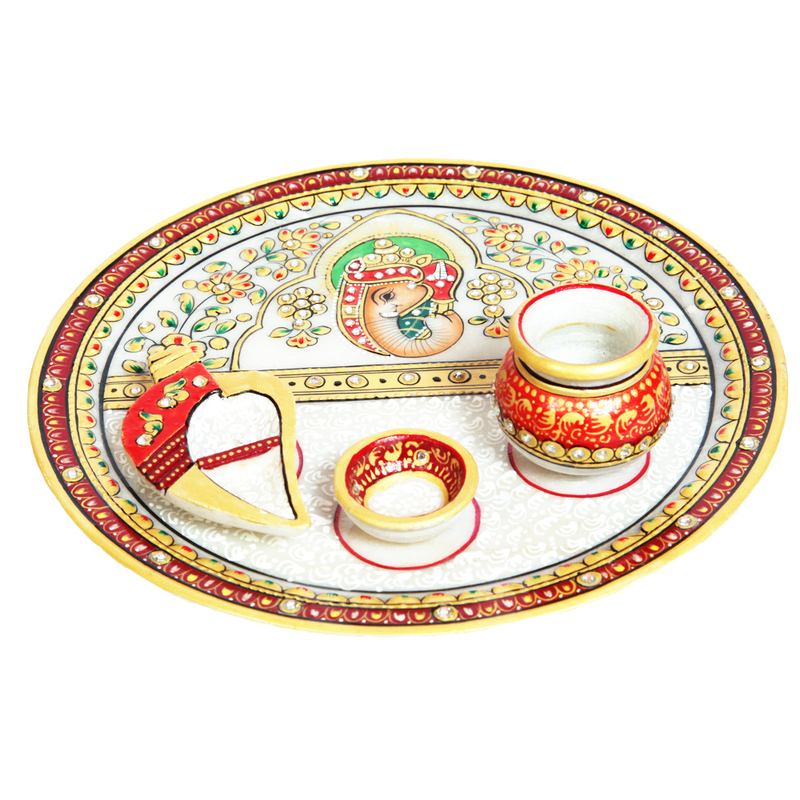 This extremely artistic Pooja Plate is designed to create a felling of complete devotion towards the almighty. 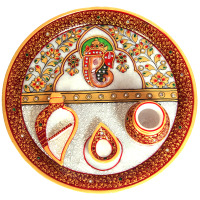 The beautiful artwork of Lord Ganesha’s head in Read More..the upper half of the plate along with the use of the pious colors of red, saffron and green over a white background sets the right mood for a religious offering. 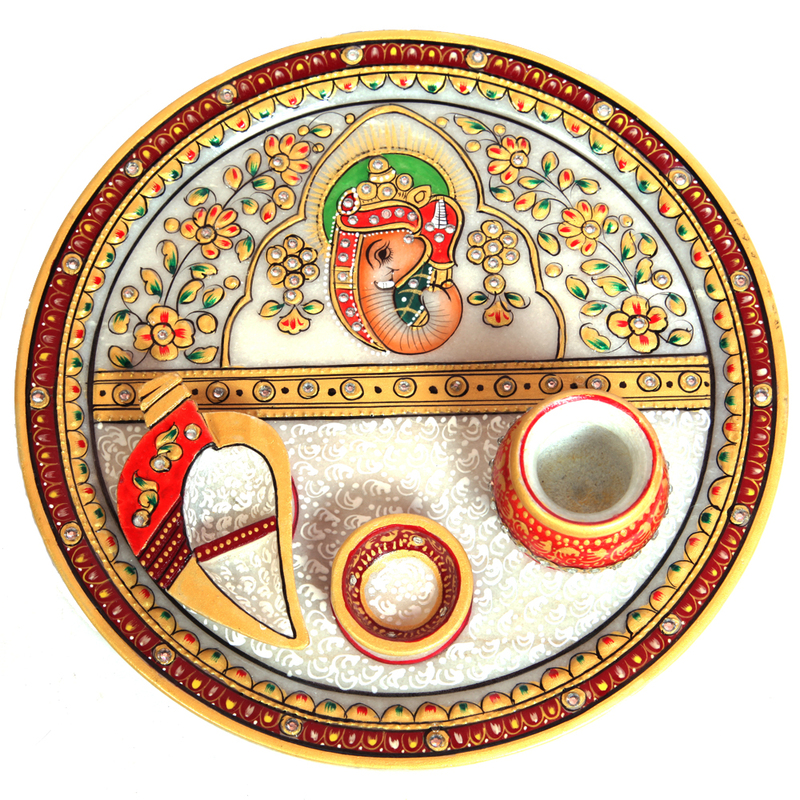 Show Less..